The KEF Q300’s are the best bookshelf speakers under $500 in terms of sound quality, build, imaging and soundstaging ability, bass and treble response, and price-to-performance ratio. The KEF Uni-Q drivers are legendary in their coherence, linearity and resolution, and the 8th generation system as featured in the Q300 is the best one yet. Bookshelf speakers are prized by audiophiles for their pinpoint imaging and soundstaging capability. 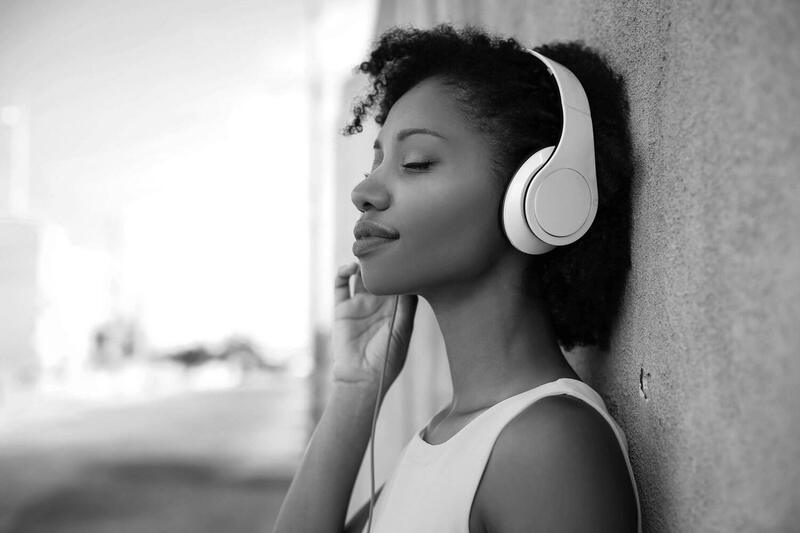 They are also preferred by more casual music lovers for the above reputation and the fact that they are relatively affordable and easy to install. As the name implies, bookshelf speakers can be placed on bookshelves and other furniture. 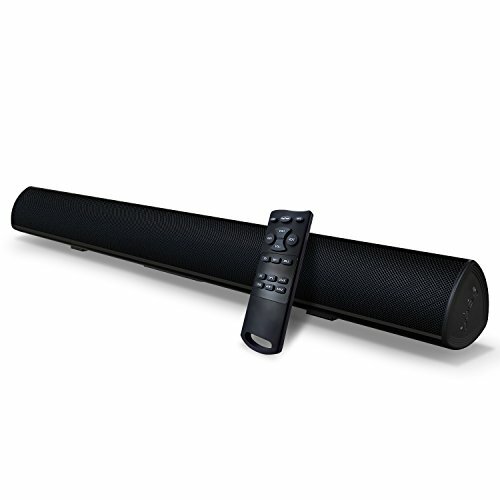 They can be integrated into most rooms much easier than floorstanding speakers. However, you really should consider investing in a pair of dedicated speaker stands to get the best out of your bookshelf speakers. The reason bookshelf speakers are so good at stereophonic imaging and placement of everything in the soundstage is due to their relative lack of distortions. Floorstanding speakers deliver deeper bass at the cost of higher distortions from their bigger enclosures and wider front baffles. Having more speaker drivers in a box also causes additional time- and phase-alignment issues when the music arrives at our ears. This is why bookshelf speakers can deliver the kind of clarity and wide-open sound that only floorstanding speakers costing a lot more can match. You can further optimize the sound ofbookshelf speakers by putting them on a pair of dedicated stands, and that’s why we have left room in the $500 budget for a pair of quality stands to go with the monitor speakers – which is a fancier name for bookshelf speakers, as if for use in a music studio. This is a higher end model than the RB-51 II, a top pick in the under $200 category. The distinctive feature of Klipsch speakers is the horn-loaded tweeter. 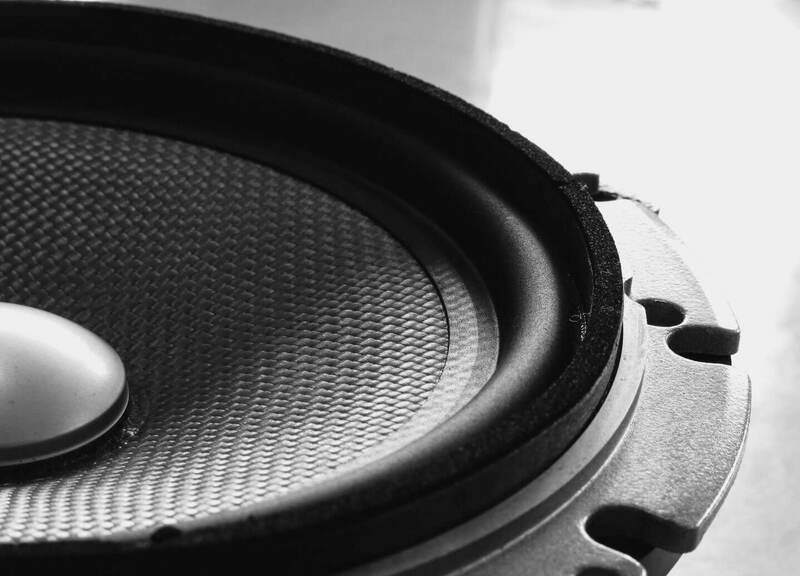 Coupled with high efficiency cone woofer designs, such as the 6.5-inch high-output Cerametallic woofer used in the Klipsch Reference RB-61 II bookshelf speaker, the effects are high efficiency and super low distortion. The RB-61 II speakers are easy on the amplifier. They sound great with just about any receiver or amplifier. The sound is highly dynamic with excellent midrange and upper bass details. They are a little bit rolled-off in the high frequencies for a mellower and musical sound – non-fatiguing presentation that you can listen to all day. They can play loud too. Rated to handle up to 400W of peak power, they are champs among bookshelf speakers in this area. These speakers are flat and faithful in the bass area. They are incredibly easy to place. They sound great everywhere. They don’t sound boomy at all when placed near wall. In fact, place them closer to the wall if you desire a little boost to the otherwise flat bass response. Mount them on the wall or put them on furniture and they’ll still sound great at long as they’re pointed at ear level. 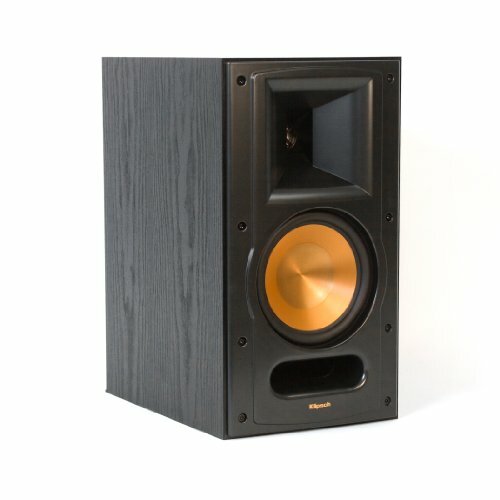 The Klipsch RB-61 II speakers have been discontinued (replaced by the Klipsch RP-160M) and are currently available at a discount. Get them while they last. Only the black ash finish is still available. First thing you’ll notice about the Wharfedale Diamond 220 bookshelf speakers is how narrow the front baffles are. Both sides of the front baffle barely extend beyond the flange of the woofer. This minimum-baffle design prevents baffle sonic distortions at the point of sound waves leaving the point source. The 1-inch cloth tweeter sits deep in a waveguide design that also minimizes baffle distortion. To further reduce coloration, the cabinet is made of chipboard layered with MDF on both sides, instead of straight MDF like almost all other speakers in this price range. 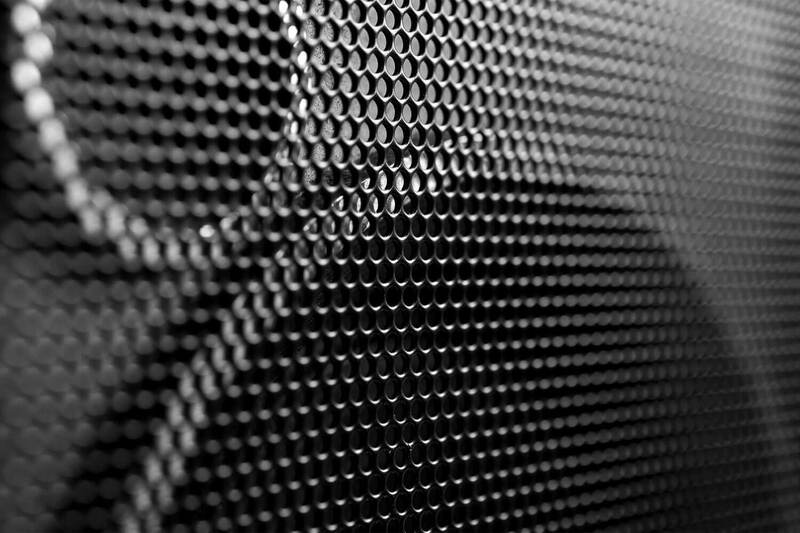 The Wharfedale Diamond 220’s are audiophile speakers that must be mounted on dedicated stands to deliver what they promise. These speakers totally disappear in the music. The three-dimensional soundstage is wide and deep with excellent placement of every instrument. The sound is airy and detailed. They sound clear and extended though a bit bass shy. Their unique slotted port design allows the cabinets to be small. Despite sporting 6.5-inch woofers, they are small enough to be called mini-monitors. They are inefficient at only 86dB rated sensitivity. They are equally adept at movies, orchestras, jazz, R&B, rock and roll and hip hop, but they’re not party speakers as you’ll blow a voice coil if you play them extendedly at ear-piercing levels. They are available in black, white, rosewood and walnut veneers. The Q300is the 8th generation of KEF’s famous Q-series speakers. It’s the larger of two bookshelf speakers in the series. It features KEF’s Uni-Q driver array with a 1-inch tweeter mounted in the middle of a 6.5 woofer. One glaring problem of dynamic speakers with multiple drivers is that the higher frequencies (with smaller wavelengths) would arrive at our ears milliseconds before the lower frequencies. The Uni-Q design with the tweeter recessed in the woofer takes care of this time-alignment issue. KEF’s latest vented aluminum dome tweeter and aluminum woofer are of such high quality as to allow the use of first-order crossover in the Q300. First-order crossovers feed high frequencies to the tweeter and lower frequencies to the woofer with a gentle 6dB per octave roll-off to ensure phase coherency. The result is that the Q300 plays with wide-open clarity and lots of airy details. It’s the definition of high fidelity. The drawback of using first-order crossovers is lower sensitivity. The sensitivity of the KEF Q300 is only 87dB despite its relatively large cabinet.Rated at 110dB maximum SPL, they can play extremely loud but you’ll need 100W to get them up to party level. Pair them with a good amplifier and you’ll get awesome dynamics and usable bass down to 40dB. One thing is for sure. You will not find at this price level speakers that are built better than the KEF Q300. This review is for the Q300B which is the black ash version. It’s the only finish available at this price. They weigh a solid 17 pounds each. The KEF Q300, Klipsch RB-61 II and Wharfedale Diamond 220 prove that you don’t need to spend an arm and a leg for totally musical and enjoyable bookshelf speakers. 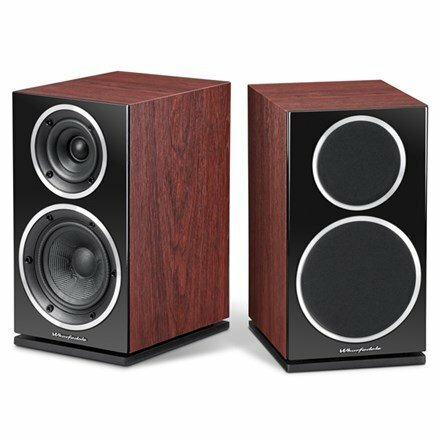 Sonus Faber set the precedence decades ago with the $10,000 Guarneri and then Magico with the $30,000 Mini II, but these comparatively affordable bookshelf speakers prove that anything over $500 is diminishing return for your money. Go with the Wharfedale Diamond 220 if you’re willing to invest in a hifi system to complement them. Go with the Klipsch RB-61 II if you plan to use them with the cheapest stereo or home theater receiver and if you have constraints about where to put the speakers. The title of the best bookshelf speakers under $500 has to be handed to the KEF Q300. These spectacularly coherent bookshelf speakers are the very definition of high fidelity. They have tremendous bass response for bookshelf speakers. Ideally they should be mounted on speaker stands but they’re not too finicky about placement or matching components.